I wanna recommend a book to you... it's actually the first of a four book series by Andrew Root, only the first two of which are already available. It's called Taking Theology to Youth Ministry. In Taking Theology to Youth Ministry, Root does real justice to his title. He does indeed bring theology to Youth Ministry. Digging beneath the surface of “intentions,” methods, and strategies; Root gets to the heart of Youth Ministry. He makes concrete connections, in narrative fashion, between God’s continuing work in the world and the task of ministry with adolescents. With theological depth, he challenges the Youth Worker to the process of discerning what’s truly foundational and catalytic to their good intentions and strategic methodologies. Youth Ministry is, at its core, “participating in God’s own action” (38). As such, Youth Ministry is a theological endeavor with the essential necessity of discerning the person and mission of God. Youth Workers can no longer retreat into purely pragmatic and programmatic models of ministry, they are challenged instead to interrogate their presuppositions with disciplined theological reflection. Root does a service to the Youth Worker in this. By grounding their motives in God’s own action in the world rather than in the latest and greatest youth ministry model or the frenzied suggestions of concerned parents, the Youth Worker is liberated from the pressures of meeting expectations, even their own expectations. If taken seriously, Root’s suggestions have the potential to provide stability and sustainability to the Youth Worker. 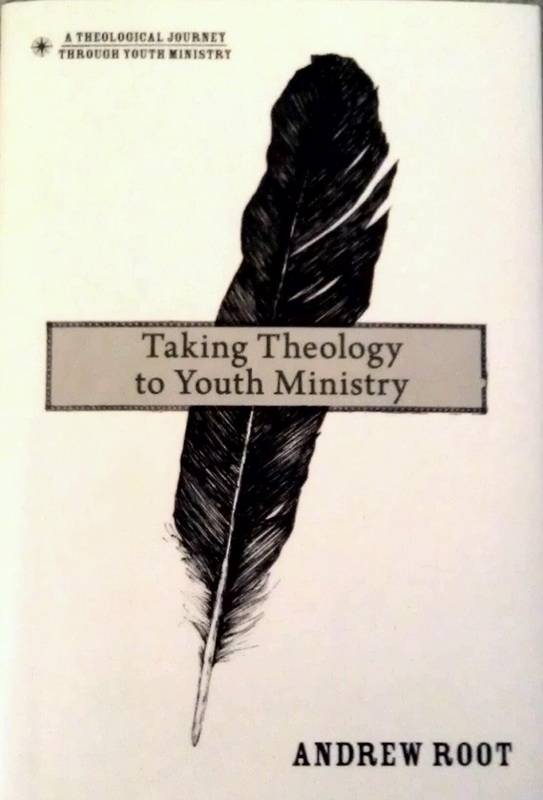 In addition to taking theology to Youth Ministry, Root actually takes Youth Ministry to theology—not only giving dignity and credibility to Youth Ministry as a theological endeavor, but also offering a critique to the discipline of theological reflection itself. Theology, by Root’s assessment, must itself be grounded in ministry—liberated from the acquisition of doctrinal propositions and confessional knowledge in isolation from actual human experience. Root challenges the traditional assumptions of systematic theology by presupposing God as a minister, not merely a static object for rational interrogation. Root's whole career, it seems to me, is taking theology to Youth Ministry and bringing Youth Ministry to the big kid's table as an academic discipline. This series is a continuation of that endeavor. I recommend the book, and in a sense of anticipation I recomend the whole series (I just finished Taking The Cross To Youth Ministry today and it's also phenomenal... even better than the first one, I'd say) to just about anybody. It's extremely accessible and somehow manages to be so without relinquishing depth. Lovely post about Youth Ministry. Very apt description about what the youth ministry is really intended to do and how can theology be related to Youth Ministry. The Youth Ministry in Yorba Linda is so totally dedicated to service of the community.